So I've neglected my B. Caapi and it looks to be in a pretty sorry state. I wonder if simply watering it more often will save it? I've been adding Seasol too. I thought perhaps I need to prune it so it has a chance to properly rehydrate. Any tips guys? ignore the leaves. with those sort of fat stems it would have to have been neglected for a very long time to end up dead. don't prune. if it is alive new leaves will grow from the nodes. 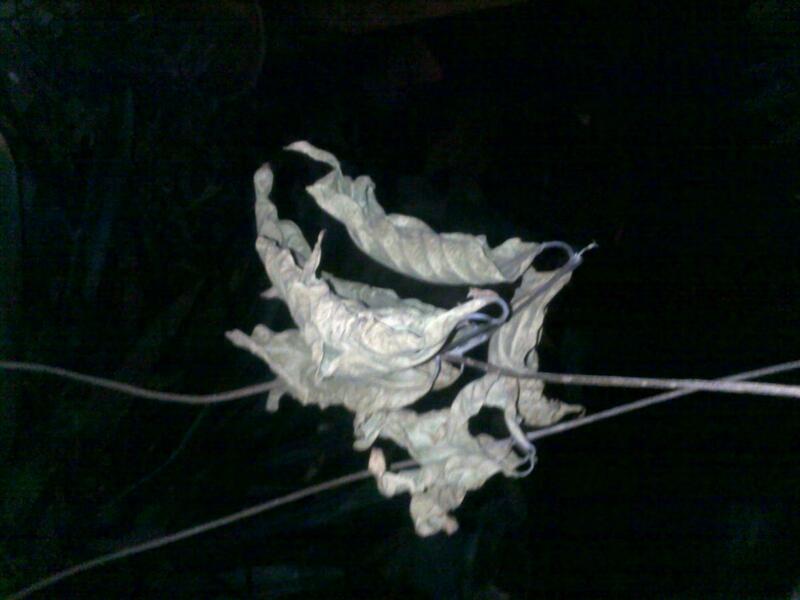 ^I don't agree, caapi plants which have been neglected, do loose there leaves, this plant obviously has not. 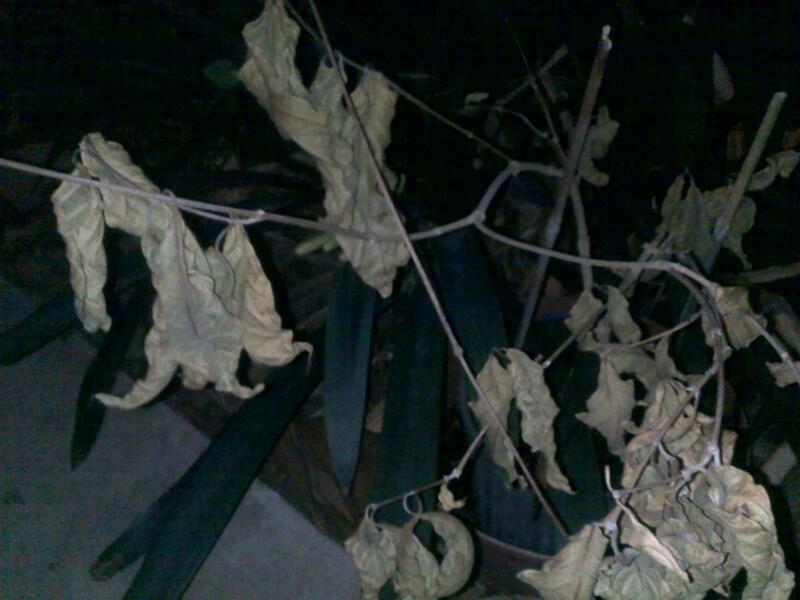 your leaves look like the plant experience a big shock on top of the neglect. but as mentioned, the fatter the stems and branches the more, she will be able to survive. I'm not particularly the best person for input on caapi given my own record on growing it but this plant looks pretty well established and I'd be surprised if it did go the other way. 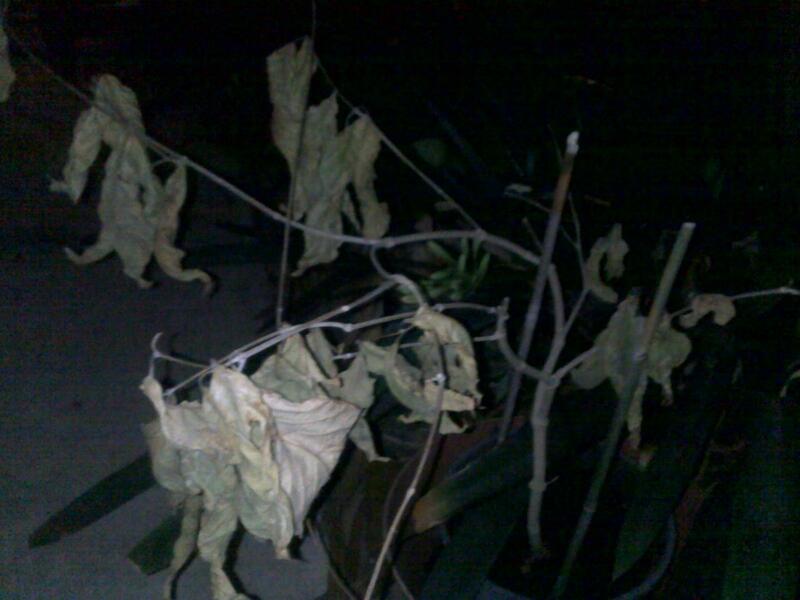 I had a caapi, that I didn't neglect, it just hardly grew and it's leaves died back like yours. New growth did come after some love and time. 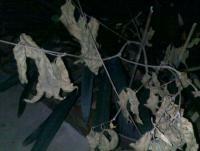 A dehydrated vine will not immdiately lose its leaves. First they shrivel up just like in the pics. Then a few days later they usually drop off, but that depends on how much the petiole has dried up and on wind or movement. Fresh petioles [ie iif the leaf hasn't fully dried up] can hang on for weeks. If the whole palnt has died then the petioles might stay on too as there is no abscission trigger. 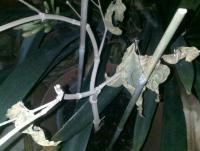 If your plant does not recover in a few weeks you should prune a branch to see if there is any life left in it. If you have let the plant dry out for a long time then it may not recover.